It’s a case of Bonne Anniversaire and Bon Voyage for Sir Brad this year. 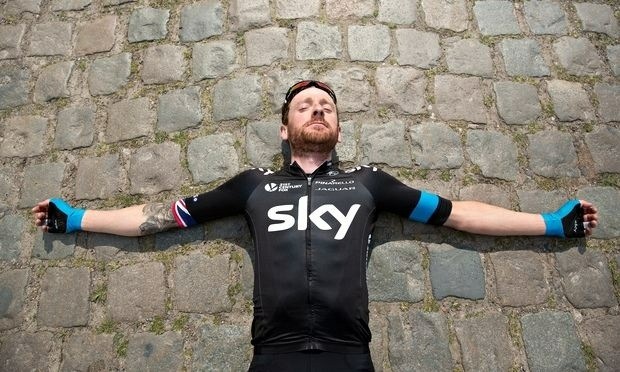 Although he is not retiring fully, he is stepping down a couple of leagues as he leaves TeamSky and joins the Continental-level TeamWIGGINS. Intended to facilitate a smoother transition back to the track in preparation for the 2016 Rio Olympics, it will also allow the Knight of the Realm to go on a little valedictory tour of the country. After the Tour of Yorkshire in May he will finally take on a much-anticipated attempt at the Hour Record before, presumably, finishing his road career in the Tour of Britain at the end of the season. This entry was posted in Birthdays and tagged bradley, wiggins. Bookmark the permalink.